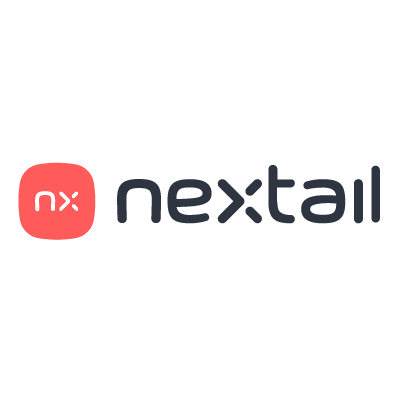 MADRID, June 27, 2018 – Nextail, the fast-growing tech company that brings artificial intelligence into retailers’ inventory planning and merchandising decisions, has today announced that it has closed $10M in new funding. The Series A round was led by London and Amsterdam based venture capital firm KEEN Venture Partners LLP (“KEEN”), together with Sonae Investment Management (“Sonae IM”) and existing investor Nauta Capital. The new financing is being used to accelerate product development and double the size of the team, as it grows internationally. Founded by Joaquín Villalba and Carlos Miragall in 2014, Nextail has developed a cloud-based platform that combines artificial intelligence and prescriptive analytics to upgrade retailers’ inventory management processes and store operations. Nextail provides retailers with data-driven decisions and the operational excellence of fast fashion, transforming how they buy new collections and distribute products. Nextail’s clients are leading fashion and collection-based retailers including Pepe Jeans, Stefanel and Melon Fashion Group. Clients typically see value delivered within 30 days, from sales increasing between 5-10%, in-store stock coverage reduced by 30% and stockouts reduced by 60%. “Agile and data-driven decisions help organisations meet customer demands. At Nextail, we deliver smart automated decisions, powered by the analytical principles that the leading digital players use” said Joaquín Villalba, CEO and Co-Founder of Nextail and former Head of European Operations at Inditex (Zara). “We help our clients with smarter use of inventory, so that they can focus on delivering better products and experiences to their customers” added Joaquín. “This round is a significant stepping stone for us. In addition to the extra backing from Nauta Capital, we’re excited to have received funding from KEEN and Sonae IM. Their belief in our technology and scale up potential will enable us to truly drive global expansion, as we support brands in new geographies, specifically the US and the UK”, said Carlos Miragall, CFO and Co-Founder of Nextail. “Retail is one of the sectors of the economy with the highest potential for AI impact. Retailers are used to establishing partnerships through their value chain. We believe now is the time for them to partner with specialised AI providers for the right decision-making tools” said Alexander Ribbink, General Partner at KEEN. “We were impressed by the complementary experience and execution drive of Nextail’s team. Their first-class platform is a revolutionary solution to address a retail core opportunity, advanced inventory management decisions. We believe Nextail is well positioned to disrupt this market and become a leading player” said Eduardo Piedade, Board Member at Sonae IM. Nextail is a fast-growing tech company founded by Joaquin Villalba and Carlos Miragall. The cloud-based platform combines artificial intelligence and prescriptive analytics to upgrade retailers’ inventory management processes and store operations. Nextail provides retailers with data-driven decisions, transforming how they buy new collections and distribute products, and increasing their returns. Nextail is continuously enhancing its product offering through technological innovation and advanced analytics. Nextail has offices in Spain, Italy, Russia, the UK and the USA. KEEN Venture Partners LLP is an international venture capital firm investing in high potential technology scale-ups. KEEN’s team develops strategic investment ideas in information and communication technology domains with transformative potential. When working with entrepreneurs, KEEN is highly committed to help talented entrepreneurs with the best support possible by leveraging its network, expertise and eventually capital. The firm operates from London and Amsterdam and focuses on European and select North American investment opportunities. KEEN Venture Partners LLP is a Small AIFM (as defined in the UK Alternative Investment Fund Managers Regulations 2013, as amended) authorised in the UK by the Financial Conduct Authority and registered as a manager of a ‘EuVECA’ (a ‘European Venture Capital Fund’). Sonae IM is Sonae’s Corporate Venture Capital, focusing on investing in tech-based companies for the retail and telecommunication verticals, as well as cybersecurity. With a flexible investment approach, Sonae IM aims to support companies from series-a plus, always as a strategic partner for their development. Currently, Sonae IM has more than 17 direct investments, encompassing stakes in companies from early stage to growth stage. Sonae IM has also invested as LP in three VC funds, managed by Armilar Venture Partners, which includes stakes in Outsystems and Feedzai and launched Bright Pixel (Company Builder Studio) in 2016. Nauta Capital is a pan-European Venture Capital firm investing in early-stage technology companies operating from two main hubs: London and Barcelona. Main areas of interest include B2B Software propositions, disruptive Digital Media companies, and enabling technologies for Mobile and the Internet. Nauta has $300+ million under management and invests in Western Europe and the USA. Nauta has led investments in 30+ companies including Brandwatch, CloudIQ, Nextail, GreatCall, Marfeel, MishiPay, Force Manager, Scytl, Getapp, BeMyEye, Geoblink, Aba English, Fizzback, Privalia and Social Point.